Apart from the addition of wireless charging, the iPhone 8, iPhone 8 Plus and iPhone X support fast charging using Apple’s USB-C Power Adapter. Up until now, the iPhone was not exactly ‘fast charging’ capable. The best the smartphone could do was up to 12 watts of power draw, while the competition was soaring north of 18 watts, thanks to technologies like Quick Charge 3.0 or the USB Power Delivery standard. Now you’ll be pleased to learn that Apple too has joined the fast charging party, with the iPhone 8, iPhone 8 Plus and iPhone X supporting high amounts of power draw for charging up using Apple’s official USB-C Power Adapter. This bit of information comes straight from Apple’s very own website. Testing conducted by Apple in August 2017 using preproduction iPhone X units and software and accessory Apple USB-C Power Adapters (29W Model A1540, 61W Model A1718, 87W Model A1719). Fast-charge testing conducted with drained iPhone units. Charge time varies with environmental factors; actual results will vary. While this may be good news, but there’s a small downside to this as well. You have to buy a USB-C to Lightning cable and an USB-C Power Adapter straight from Apple itself. Things get a little worse when you realize that you can’t use any third-party USB-C or USB-PD charger with the smartphone to juice up quickly. Furthermore, Apple is the only company that makes a USB-C to Lightning cable. So yes, you’ll be investing quite a bit of money on this end if you’re looking to step up your charging game. But, on the positive note, Apple has finally brought the fast charging spirit to its smartphone lineup, something which was due for a long, long time. Also keep in mind that this isn’t the first time the company is diving into this territory. It has done so in the past with the 12.9-inch iPad Pro, which supports up to 29 watts of power draw for rapidly charging up. The magic happens over USB-C too, in case you were wondering. 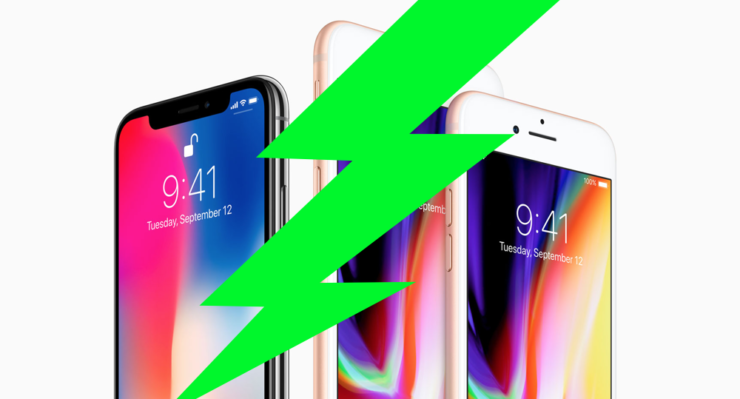 With the iPhone 8 set to release later this month, and iPhone X the next, it’s best to invest in some charging accessories right now if you’re planning to juice up faster.